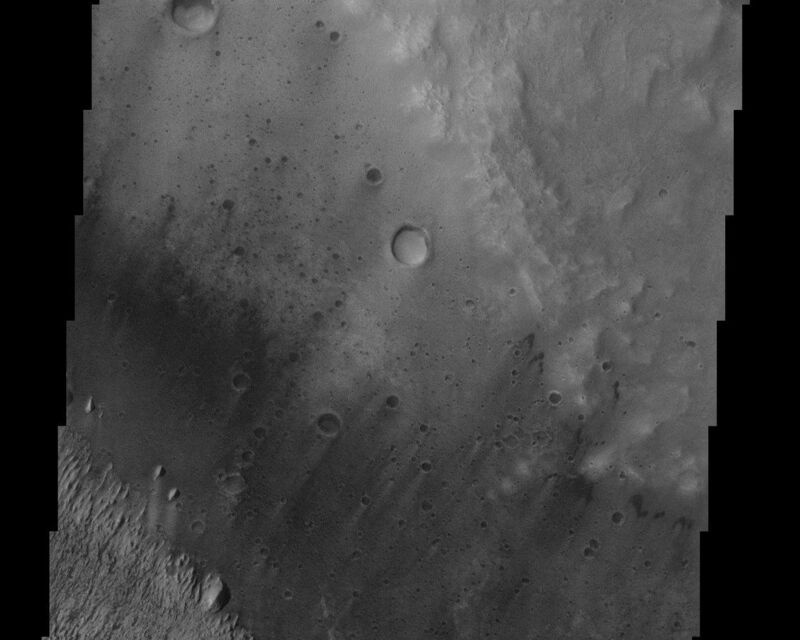 Like many of the craters in the Oxia Palus region of Mars, Trouvelot Crater hosts an eroded, light-toned, sedimentary deposit on its floor. 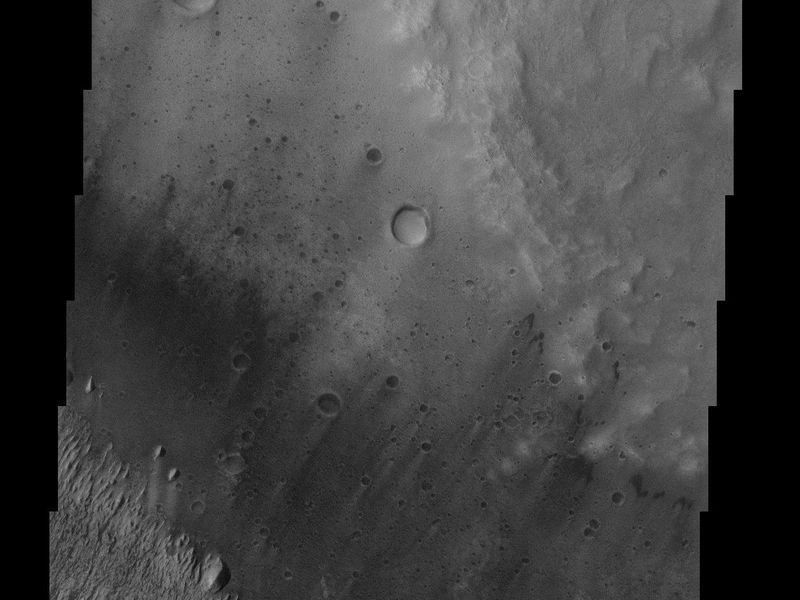 Compared with the much larger example in Becquerel Crater to the NE, the Trouvelot deposit has been so eroded by the scouring action of dark, wind-blown sand that very little of it remains. Tiny outliers of bright material separated from the main mass attest to the once, more really extensive coverage by the deposit. A similar observation can be made for White Rock, the best known example of a bright, crater interior deposit. 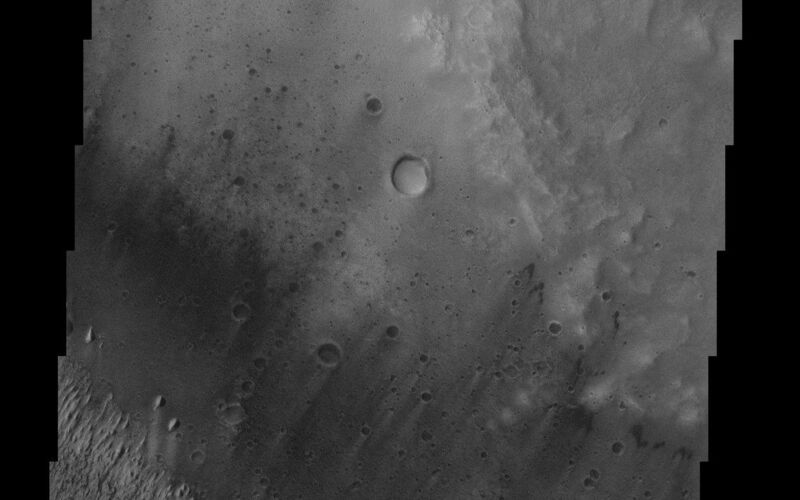 The origin of the sediments in these deposits remains enigmatic but they are likely the result of fallout from ash or dust carried by the thin martian atmosphere.